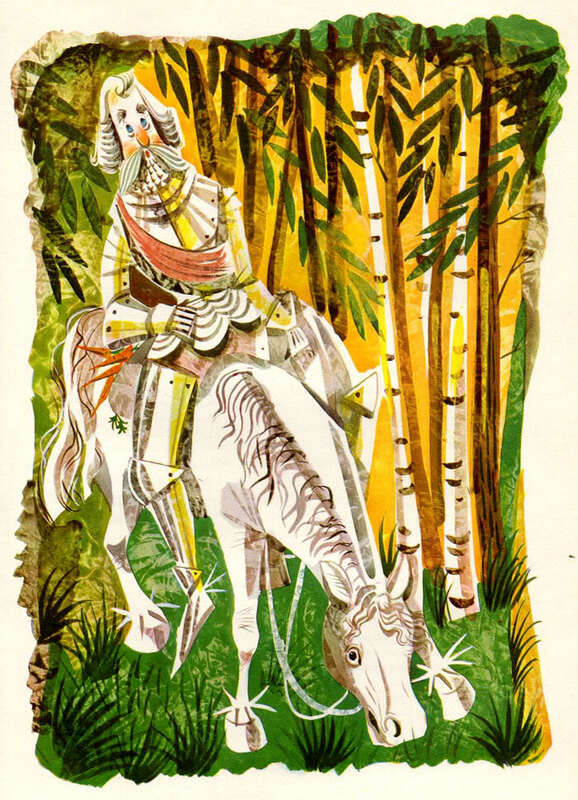 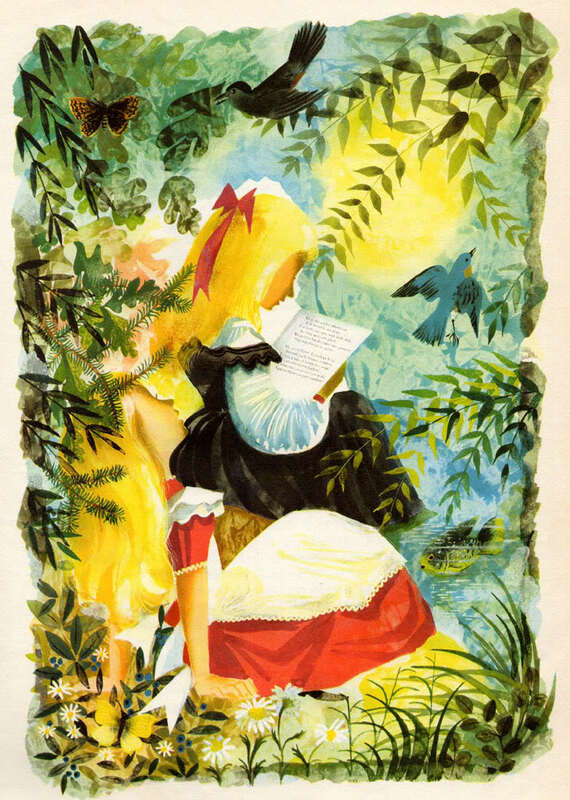 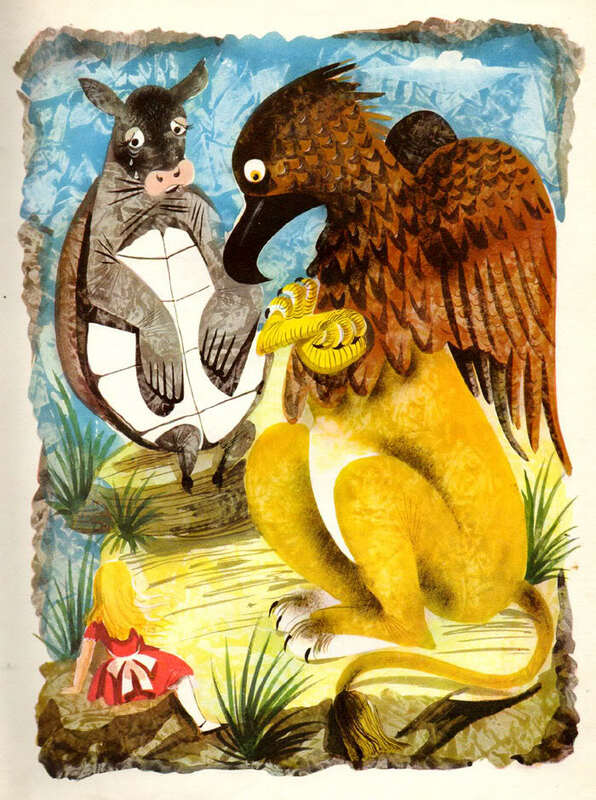 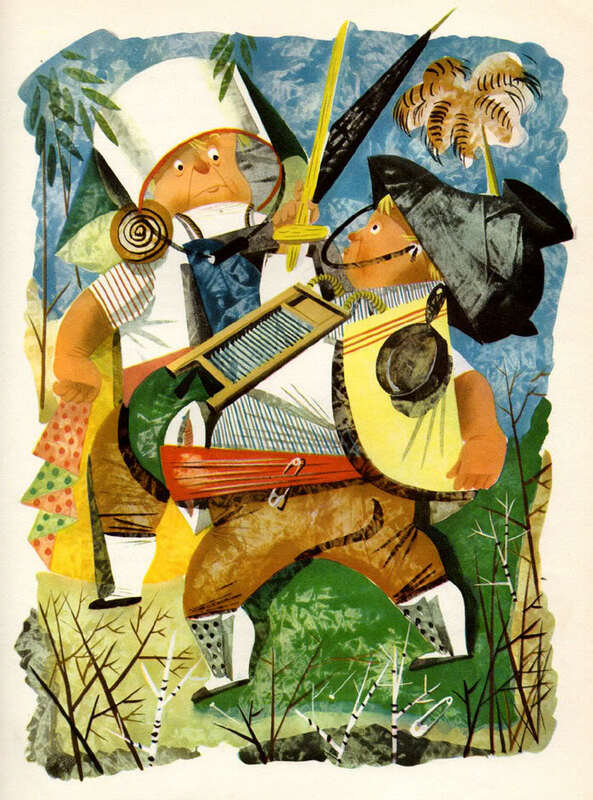 It's no secret I have a soft spot for obscure vintage children's book illustration, especially by famous artists or of famous works. 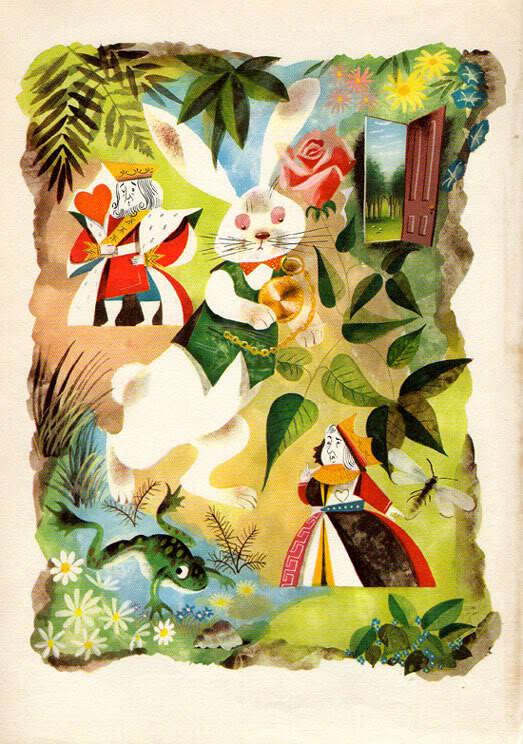 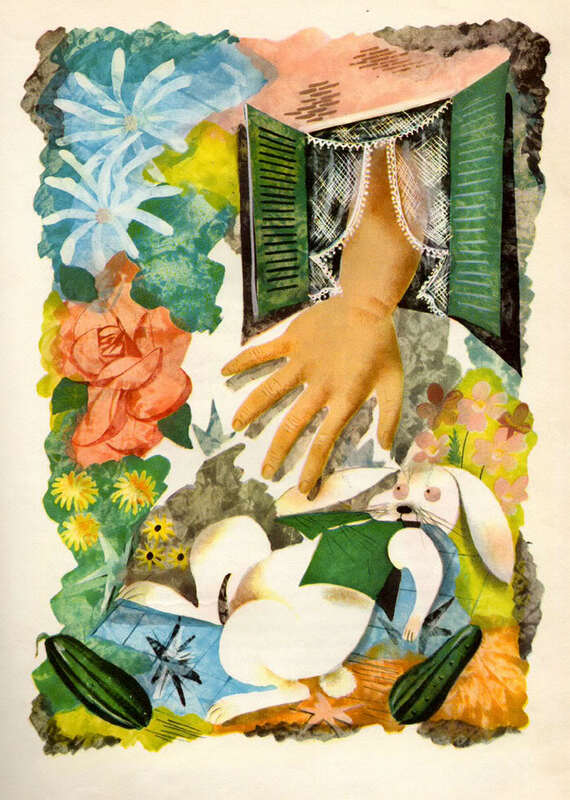 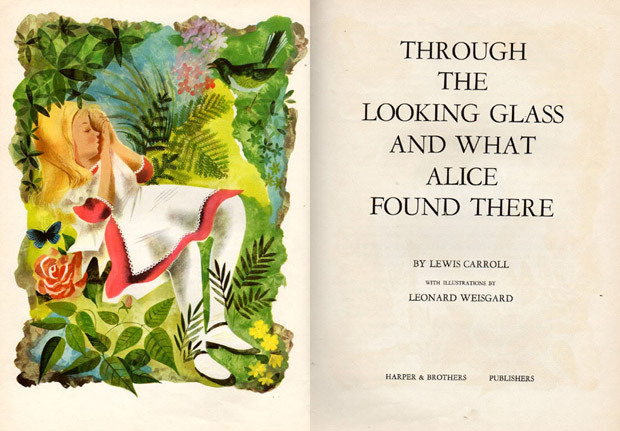 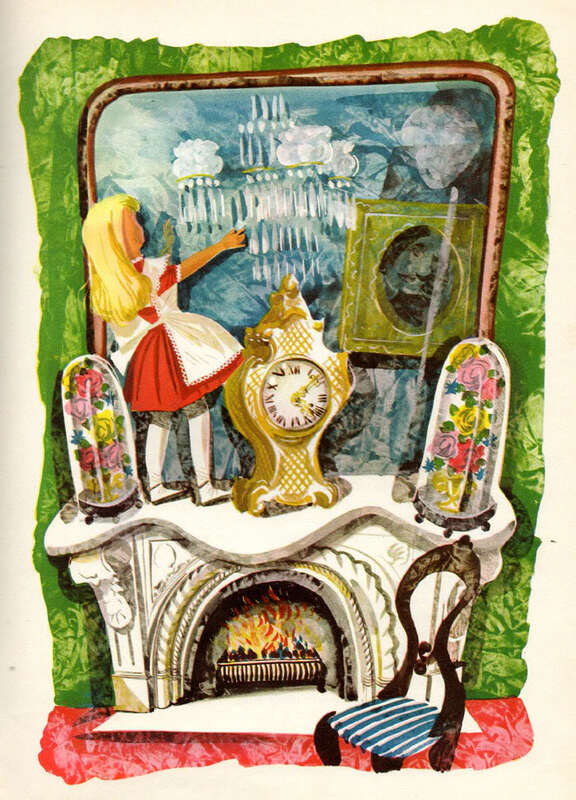 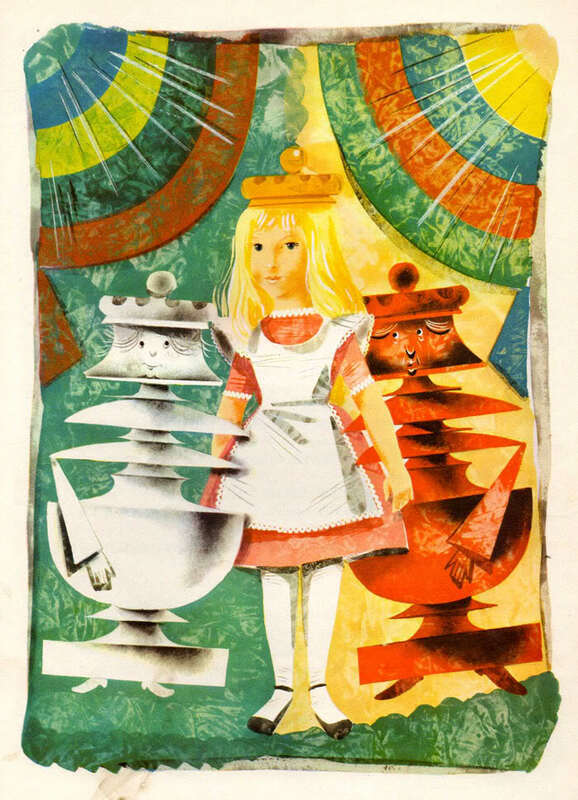 Spotted on the lovely Vintage Kids' Books My Kids Love, here's a beautiful 1949 edition of Alice's Adventures in Wonderland and Through the Looking Glass, illustrated by Leonard Weisgard -- only the second version of the Lewis Carroll classic, and the first with color illustrations. 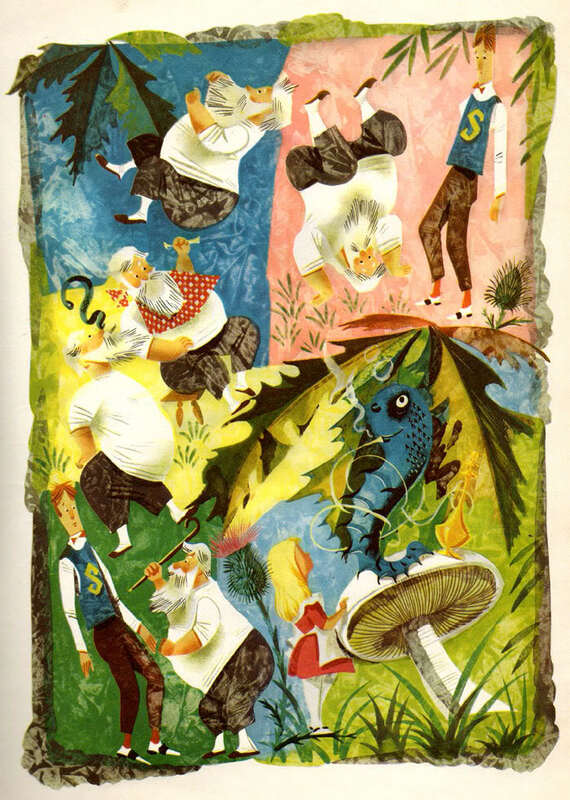 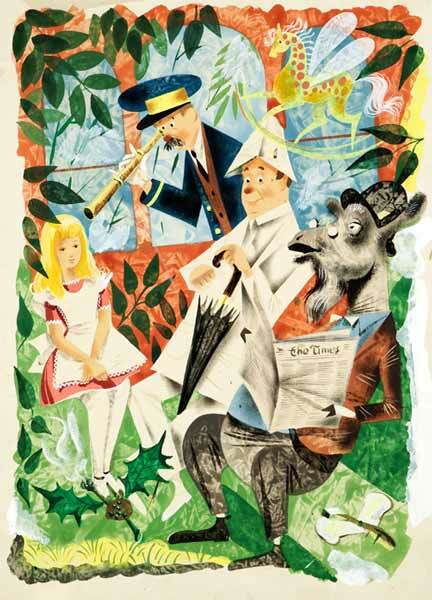 The vibrant, textured artwork exudes a certain mid-century boldness that makes it as much a timeless celebration of the beloved children's book as it is a time-capsule of bygone aesthetic from the golden age of illustration and graphic design.